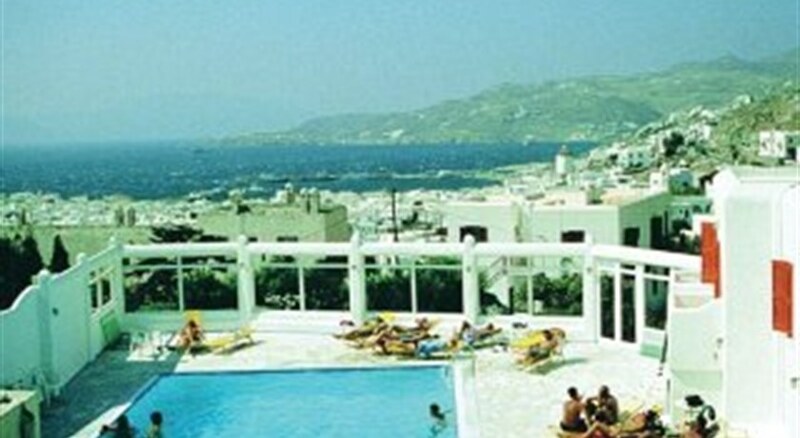 Anastasios Sevasti hotel is located at the School of Arts area in Mykonos Town,only 5 min. walking from the centre of Mykonos and its busy life with shops, restaurants, bars, and attractions. 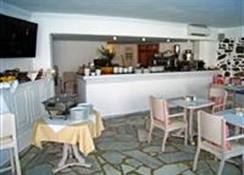 The highlights of the hotel include the private balconies with view to the sea, the swimming pool area and the late breakfast until noon (12:00). The hotel also provides a parking area and WiFi access at the lobby area. In addition the hotel provides a special discount card to its clients which they can use at restaurants, shops, bars, and car/bike rentals around the island. Ask the reception for more. 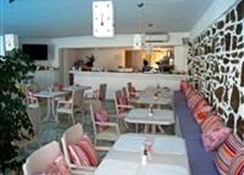 Renovated in 2000, this hotel is in a quiet area and affords traditional Mykonian architecture. 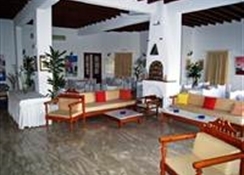 The air-conditioned hotel features 42 rooms, safes, a bar, a TV lounge and a breakfast room. Those arriving by car may take advantage of the car park.